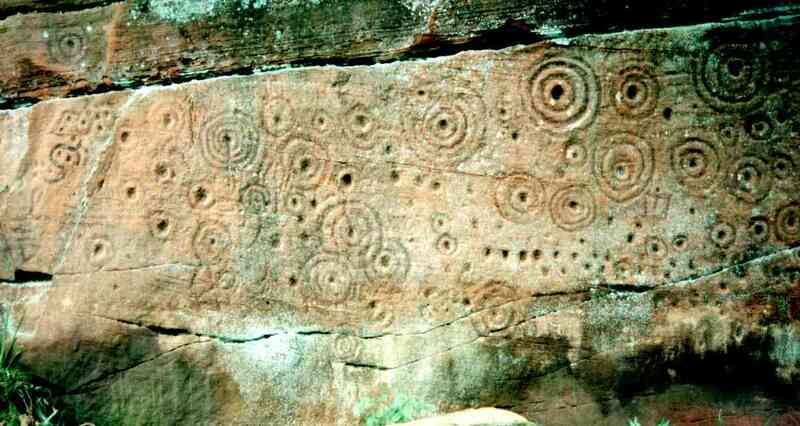 Ballochmyle lies just a few miles south of Kilmarnock. 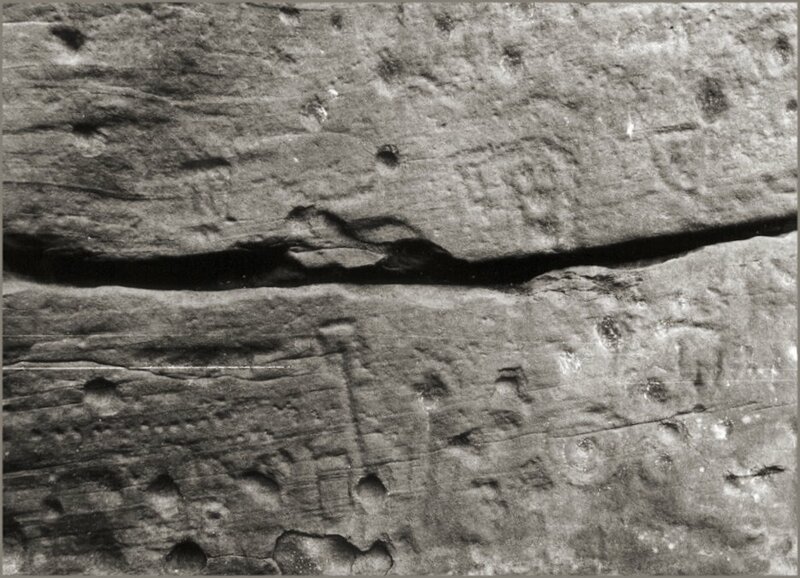 The River Ayr has cut an impressive gorge through the sandstone bedrock. 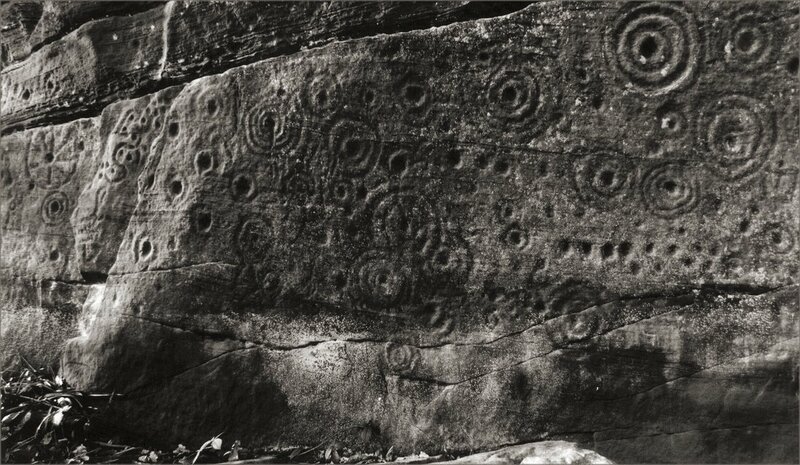 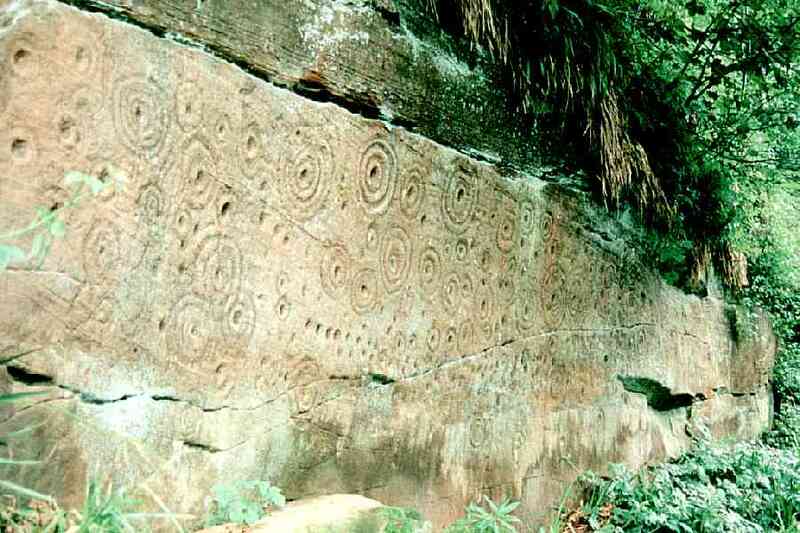 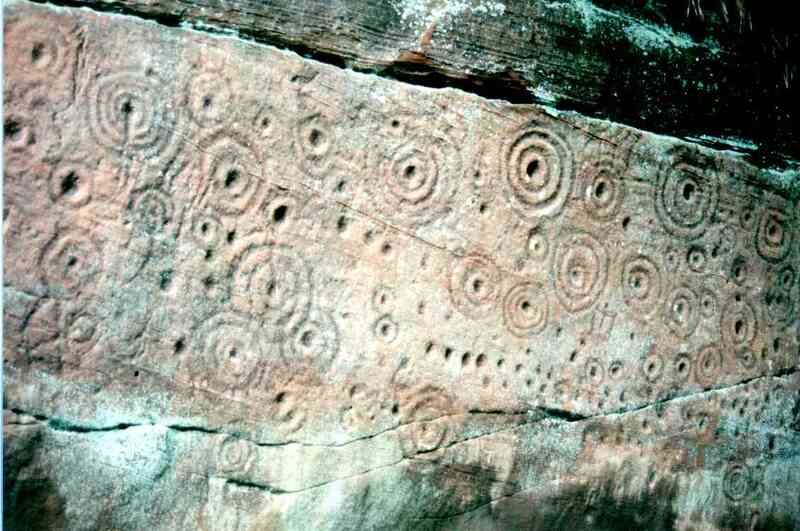 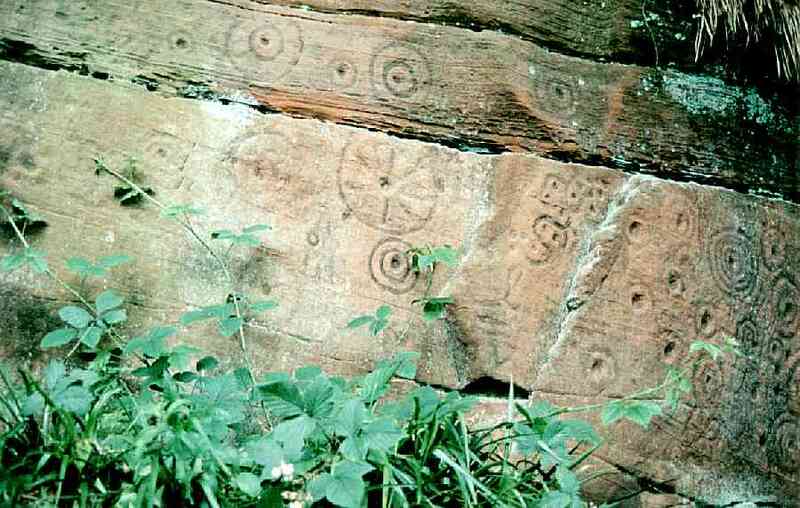 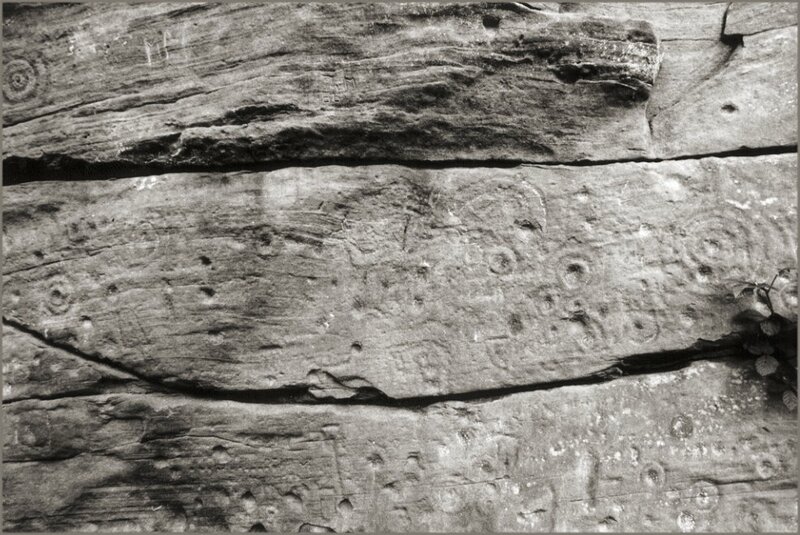 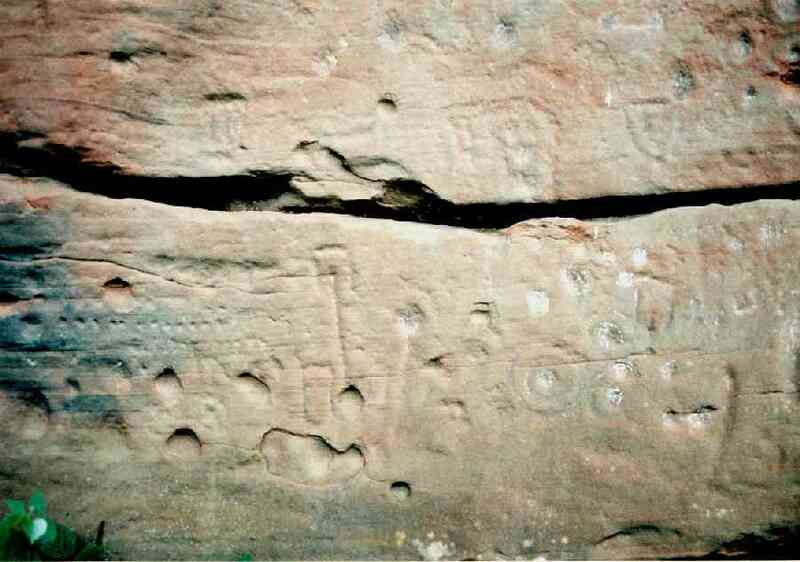 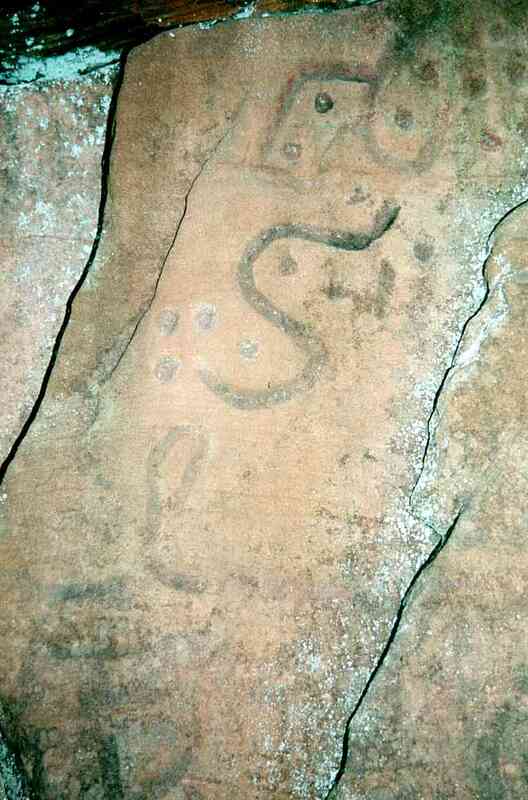 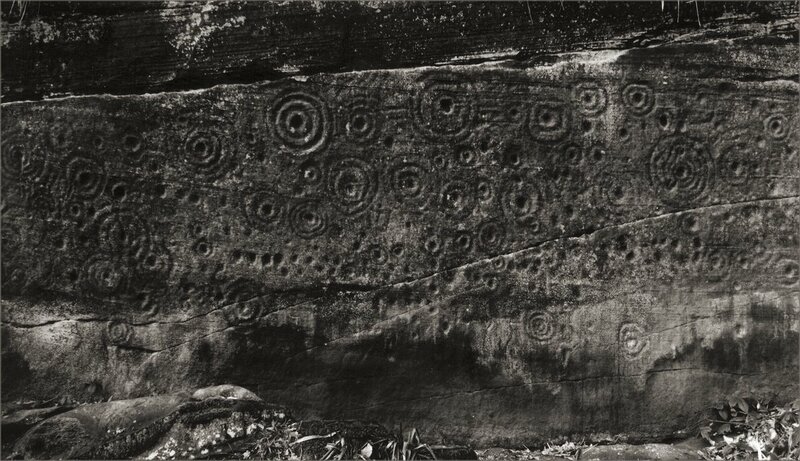 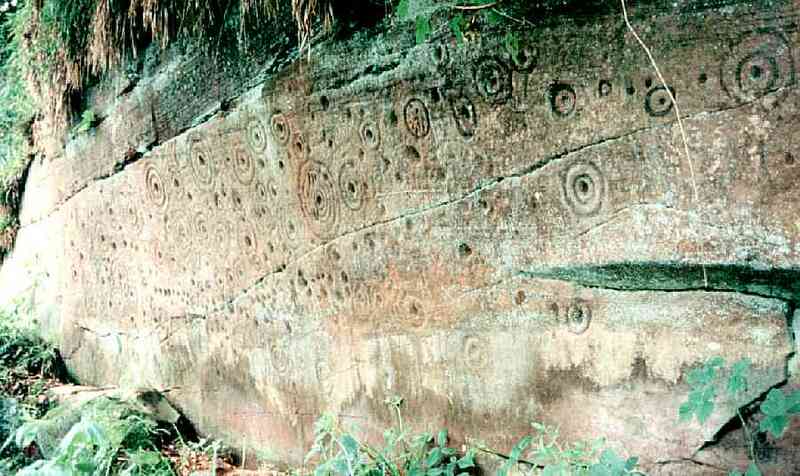 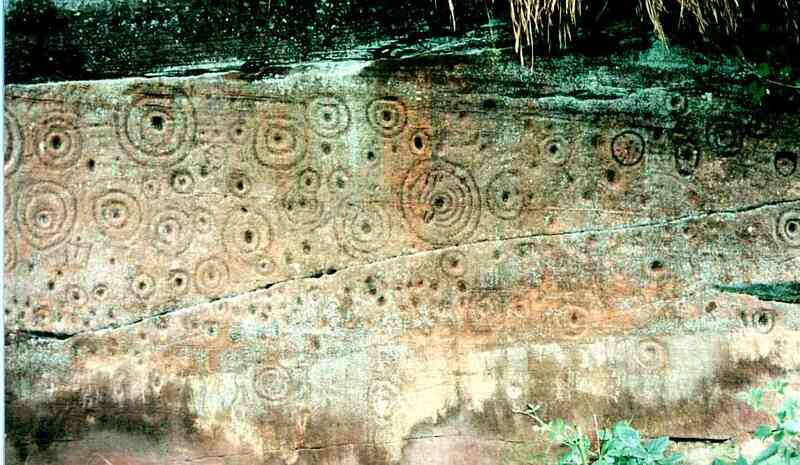 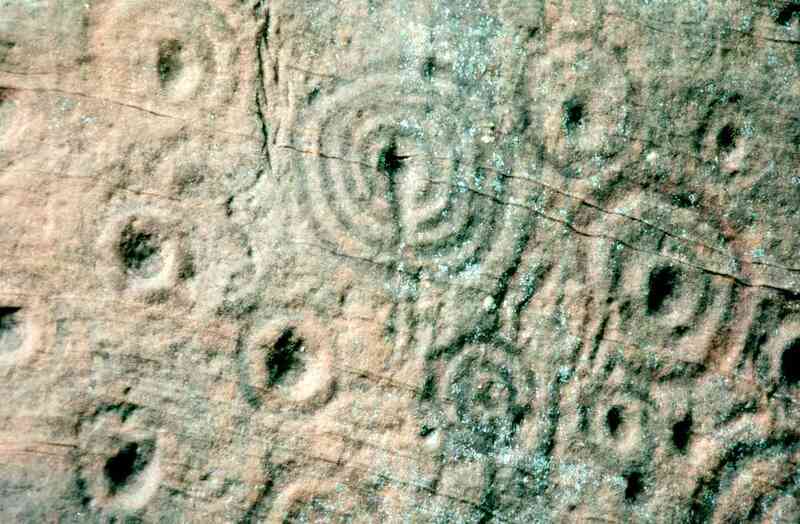 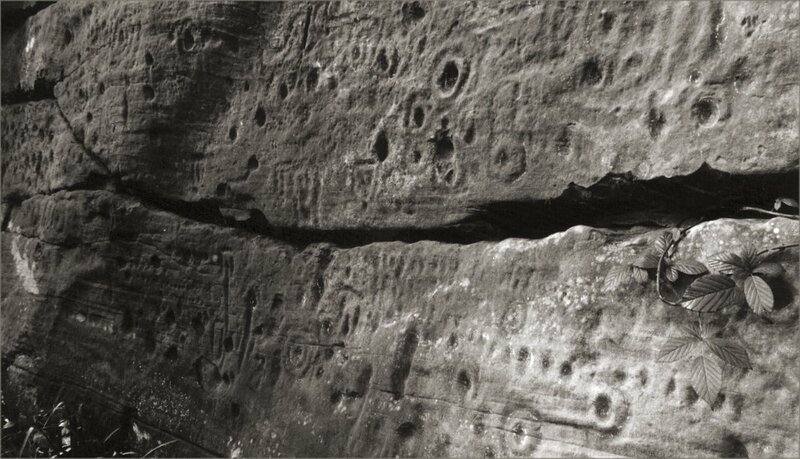 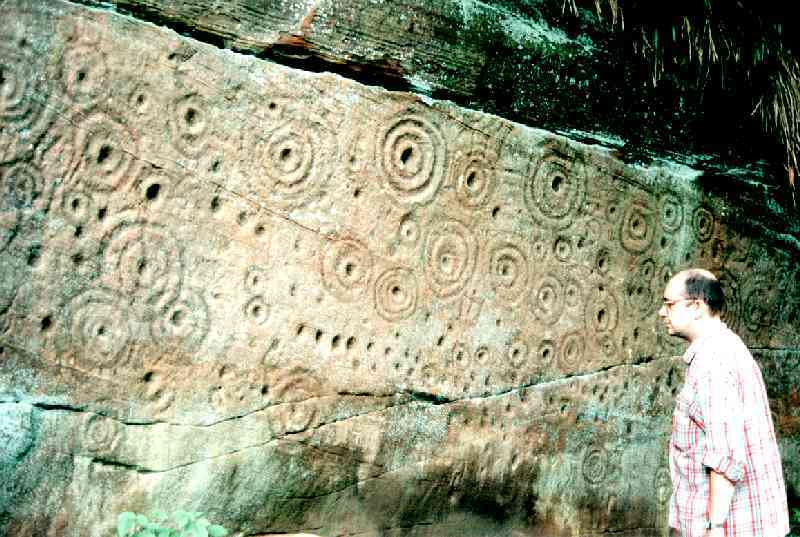 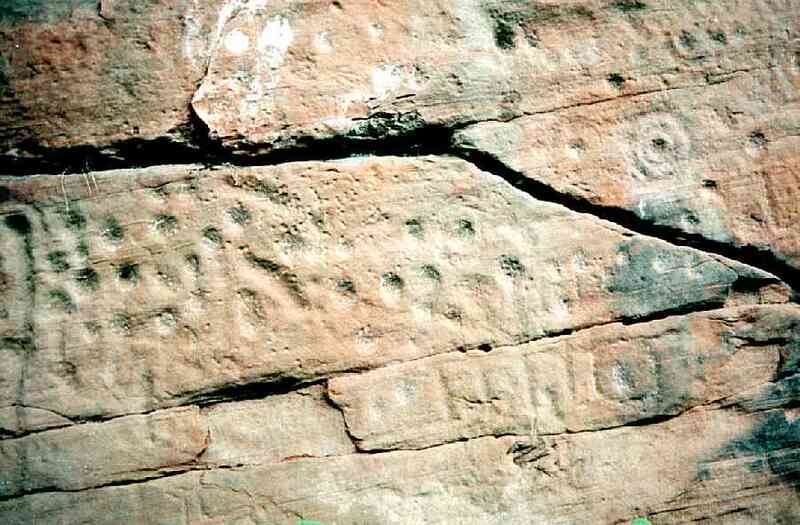 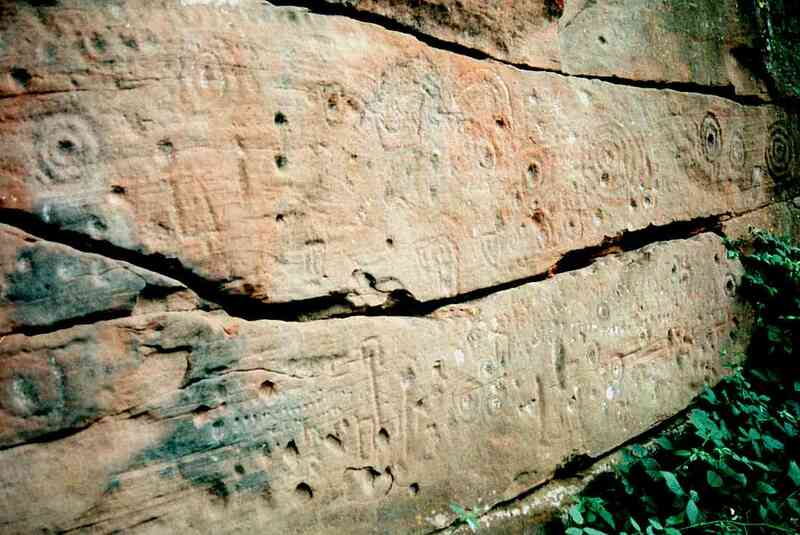 On a pair of vertical cliff faces a huge number of cup-and-ring marks (and a few other wierdoes) have been carved. 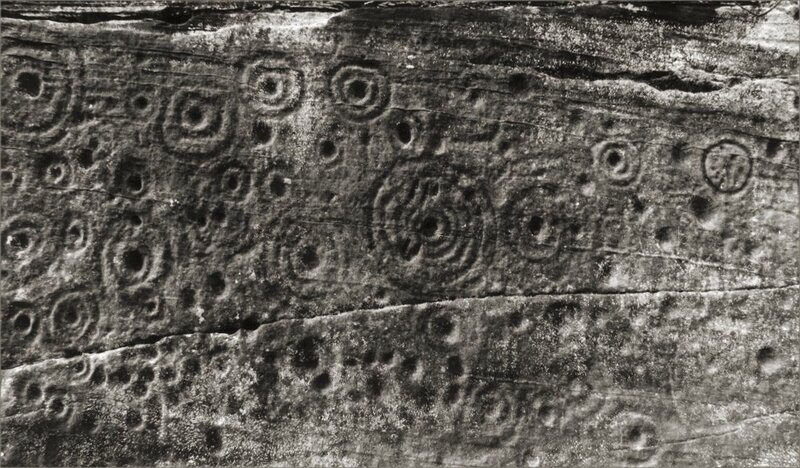 There are squiggles and boxes, stars and spotty rings. 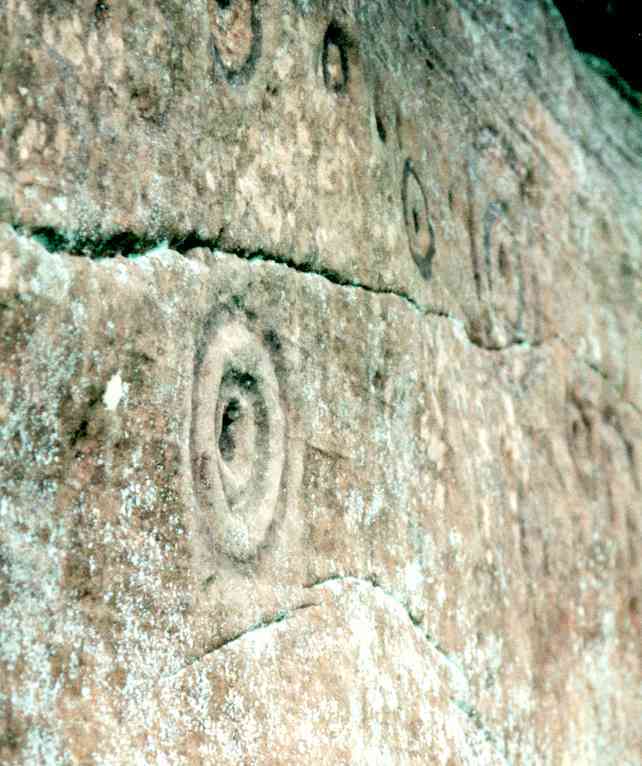 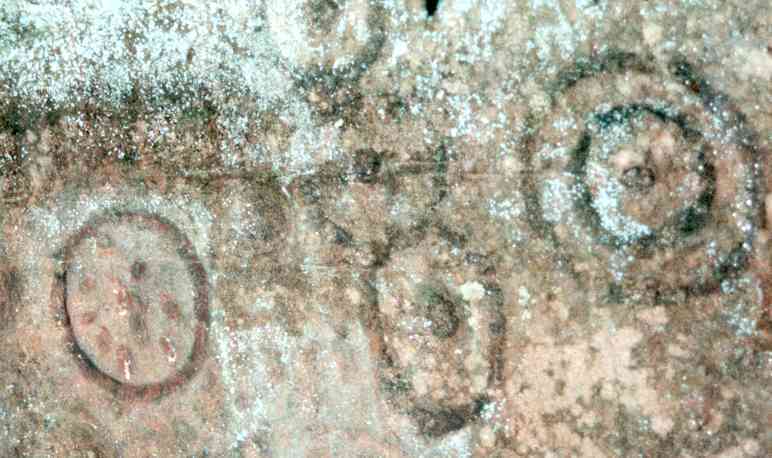 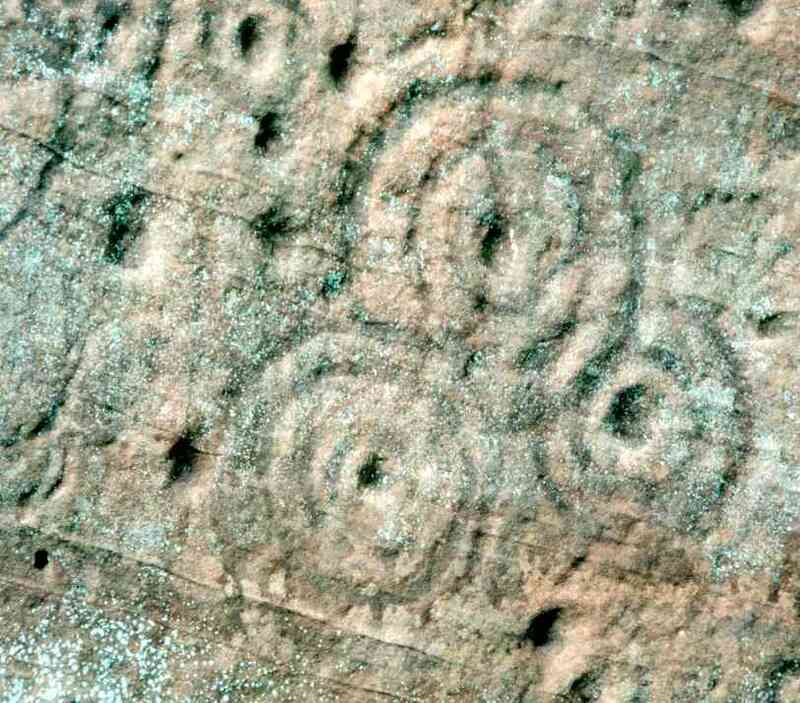 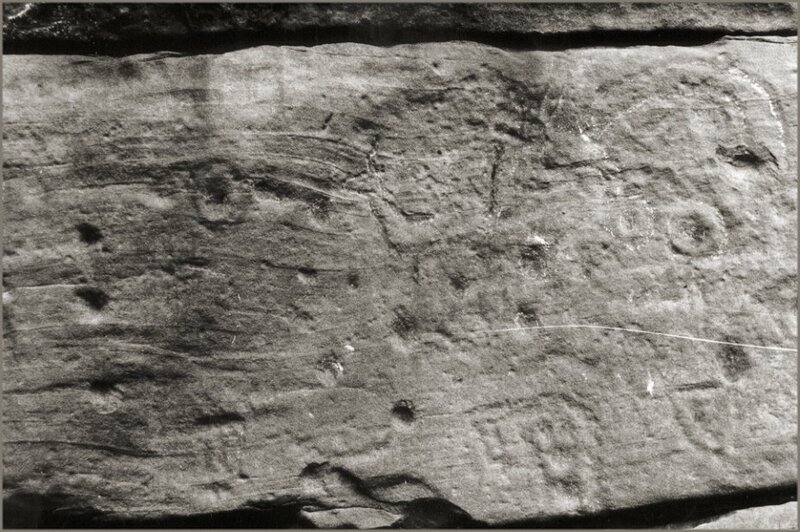 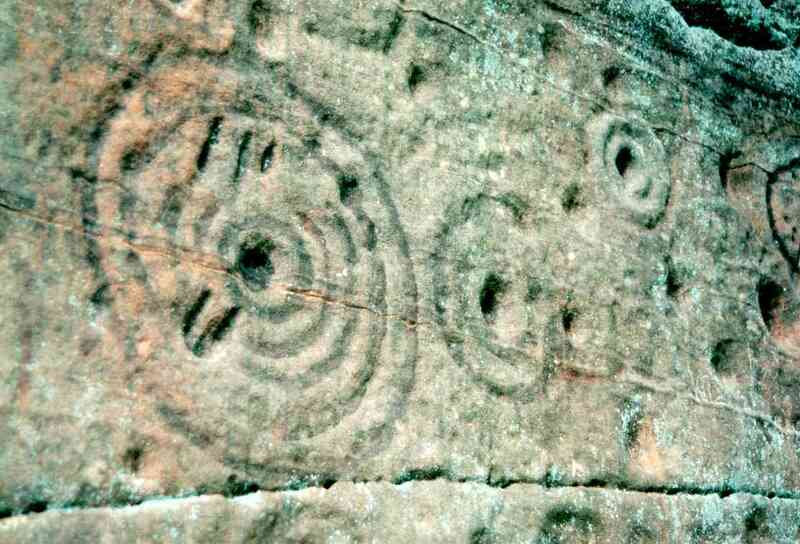 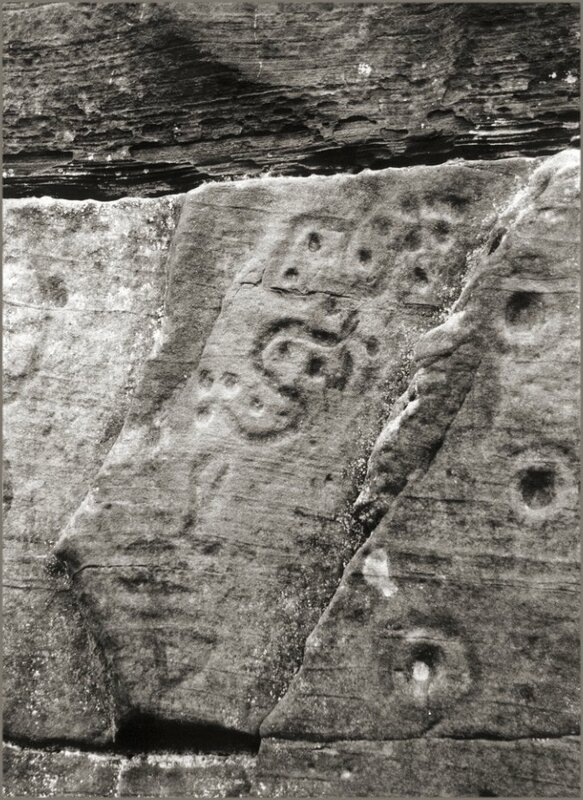 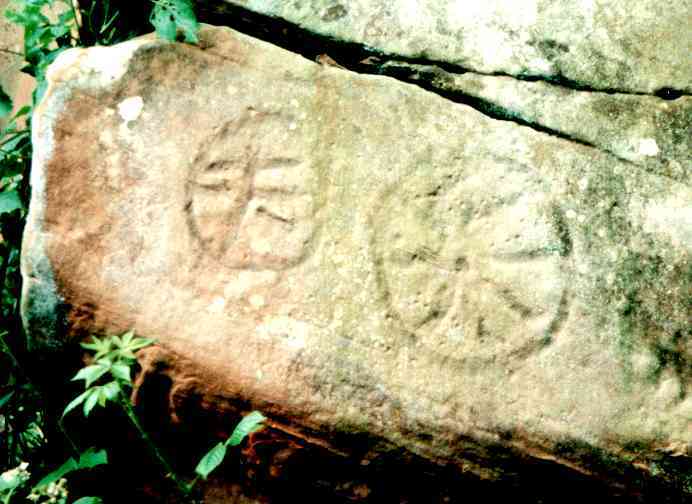 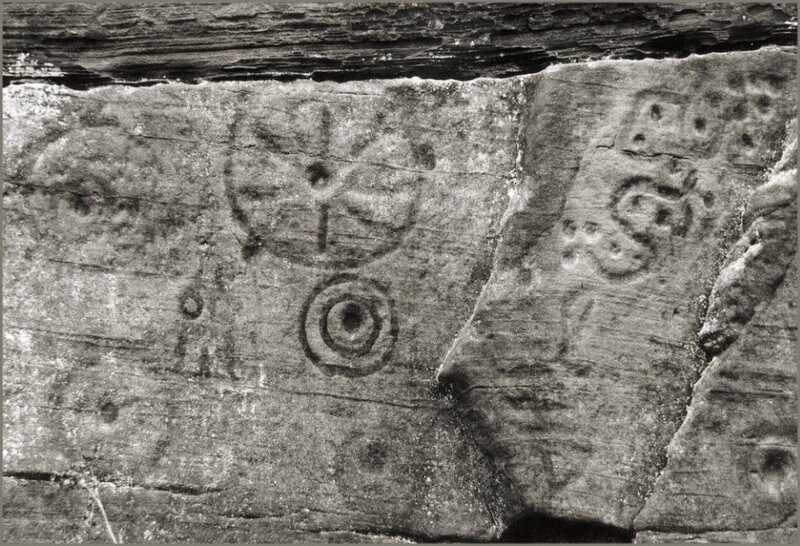 Some of the marks have clearly been added over older marks, but when the marks date to and whether they are all contemporary with each other is much harder to tell. 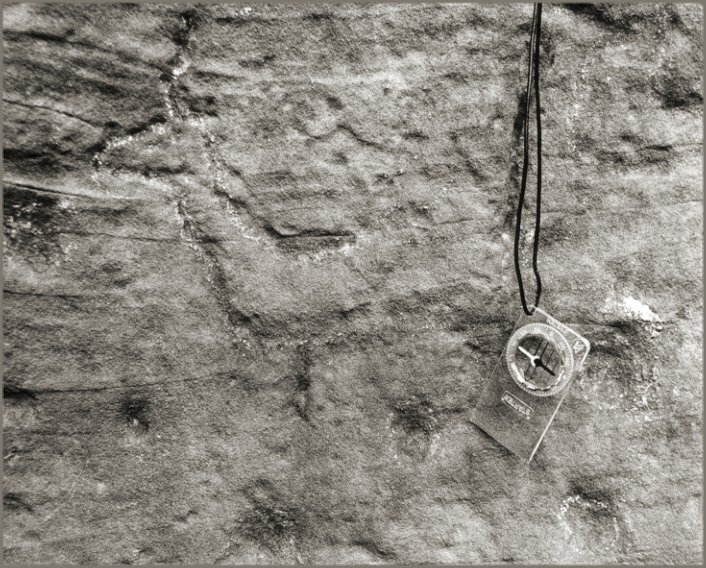 The sandstone is very soft and very weathered. 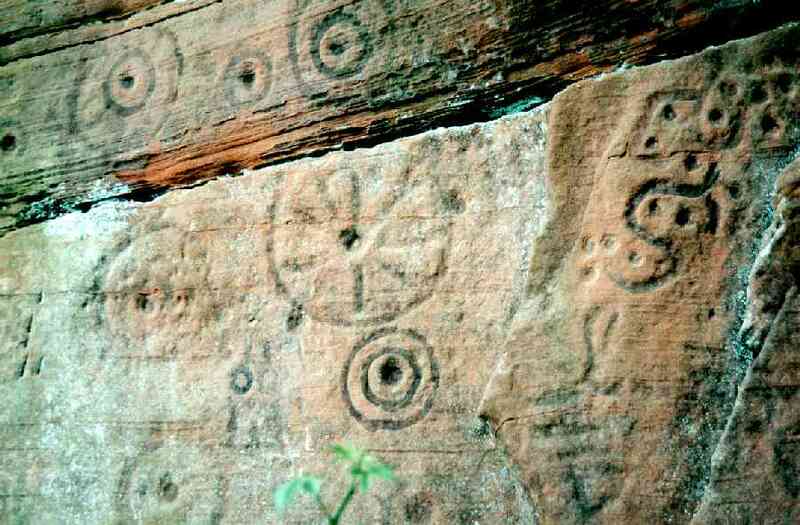 The puzzling habit of some people of chalking or painting some of these marks serves only to hasten their loss as they are abraded away.